Good Carma was established by Charlotte Bates, who is passionate about food and has a strong interest in health and nutrition. As a vegan herself, she wanted to offer an alternative to dairy cheese made using healthy and nutritious ingredients, but without sacrificing flavour. Her aim is to help people with special dietary requirements or just those who want to live a healthy whole food lifestyle. 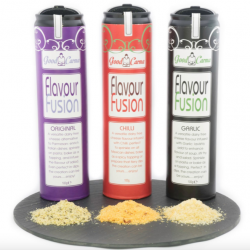 They specialise in a range of cheese alternatives, including their Flavour Fusion parmesan alternatives and Spread Sensation, a cashew based mature cheddar cheese alternative. They are nutritionally dense, gluten free, and free from artificial additives and colourings. 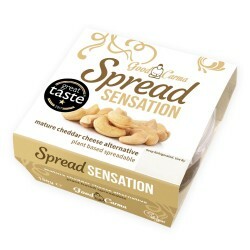 Their cheddar cheese alternative Spread Sensation was the first vegan cheese to win a Great Taste Award, and they also won Bronze at the Free From Food Awards for their Flavour Fusion Original.